So what is Airport2Sim and why did you develop it? 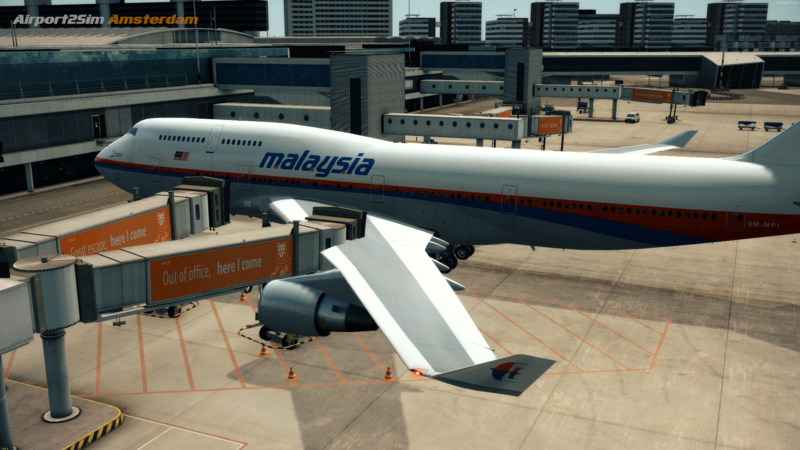 Airport2Sim is a new training series based around teaching you how to operate to and from complex and challenging airports, along with bonus bespoke GSX files and other customisations to allow gate operations to happen without scenery conflicts. So is it just big hubs like Amsterdam and JFK? No. By complex we mean large hubs which have multiple runway layouts, complex taxiways and various departure and arrival procedures. These enormous mega hubs can be incredibly intimidating to fly to and from with no prior knowledge. For example you may be wondering where to park, or which airlines operate from which gate. 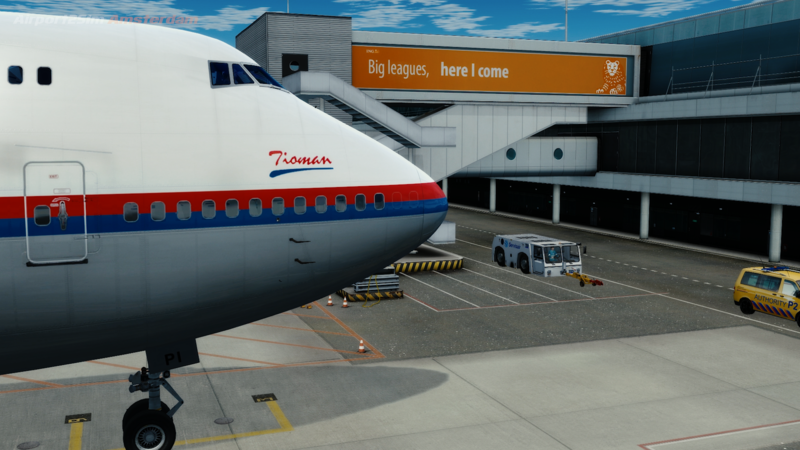 You may ask yourself will my aircraft even fit in the gate? Where do I taxi? Which runway do I use? Which departure out of the dozens available should I use? We aim to answer all these questions. 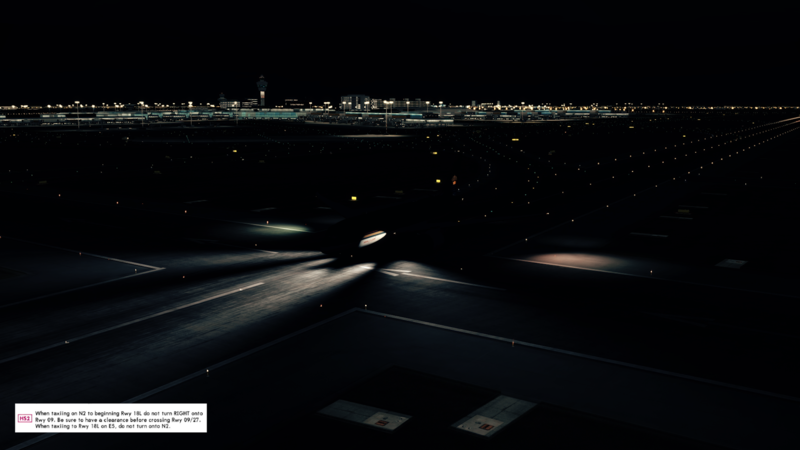 We will also be featuring challenging airports such as Skiathos, Nice, Dubrovnik, Innsbruck and Gibraltar which are relatively simple on the ground but have very difficult approaches and/or departures that would be intensively trained in the real world. In the simulator world there is simply no resource to learn about operations to these kinds of airports. Until now! 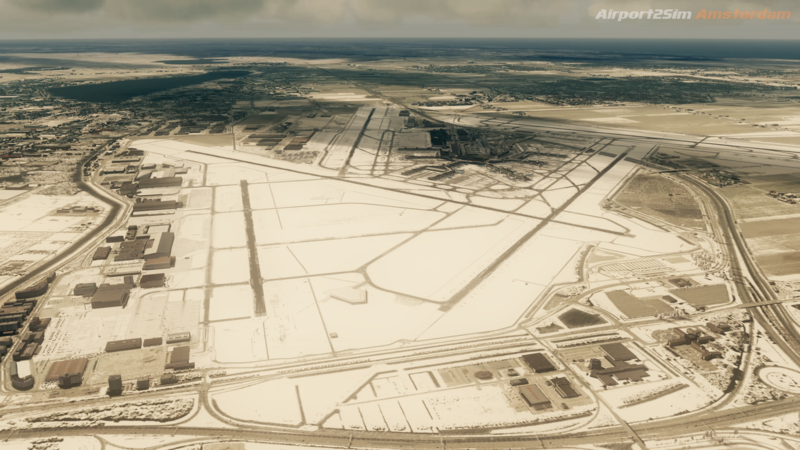 With Airport2Sim Amsterdam, our first release, we aim to simplify things at this massive KLM hub with a series of fascinating video tutorials recorded with a real Schipol-based pilot who teaches us all about the airport from a pilot's point of view. By the end of the program, you will know more about operating to and from the airport than many real world pilots! Meet our training pilot for this series as we take a look at the layout of Amsterdam Schipol Airport, the various gate areas and why it has such an extensive runway system. 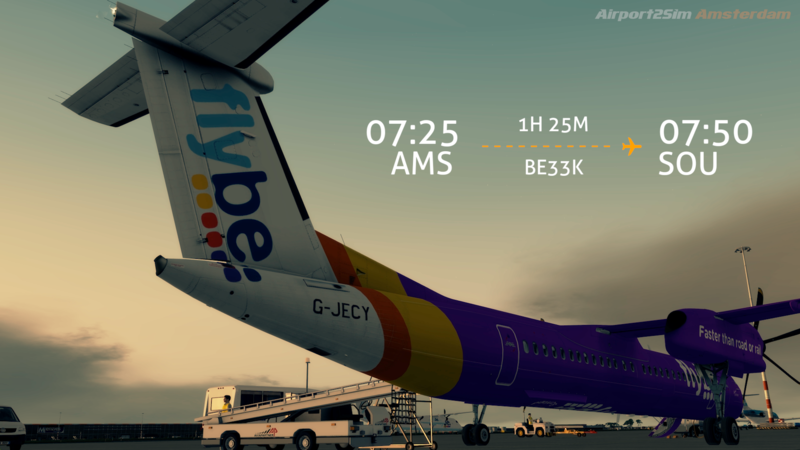 In this episode, we learn how the various runways are used at Schipol in real life, why crossing active runways is avoided and the reason why the infamous 'Polderbaan' runway has a taxi time almost as long as many of the flights that use it! Here we learn how gate operations work at Schipol, along with the famous 'TSAT' and why you don't want to miss yours! 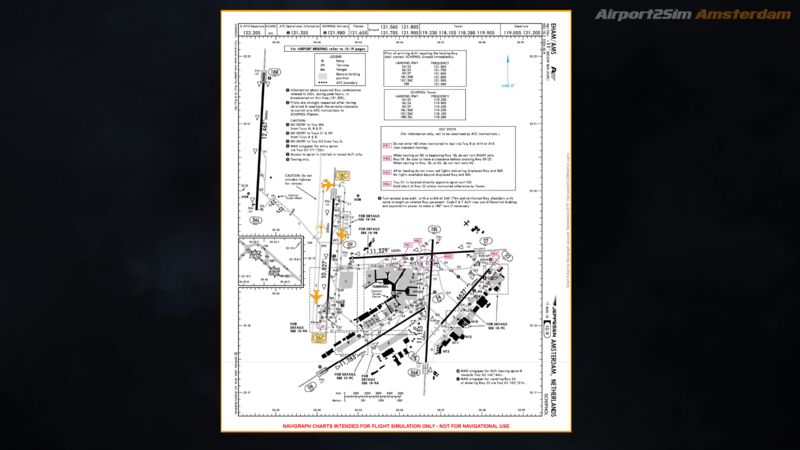 Ever wondered what those weird diagonal lines on the ground are on the taxiway? We'll show you. 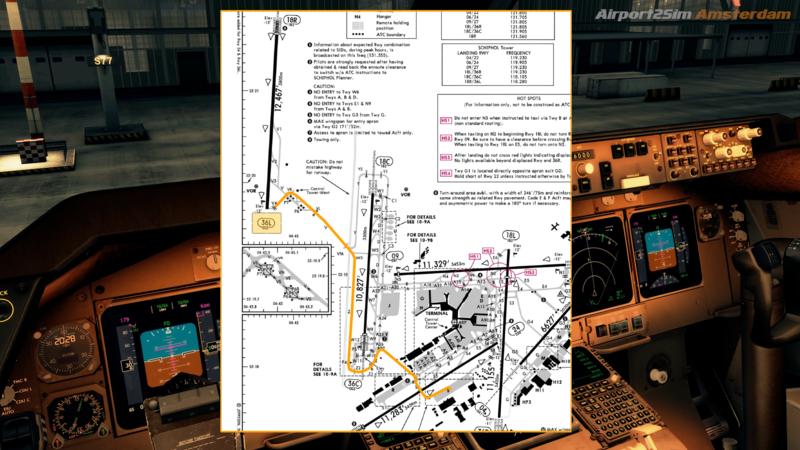 You'll learn about Schipol's clockwise/anti-clockwise taxi directions as well as taxi routings and which intersections you can expect for takeoff. It's time to depart and here we talk you through the SID (standard instrument departures) at Amsterdam. Even though there are a lot of them, they are all handled in pretty much the same way. 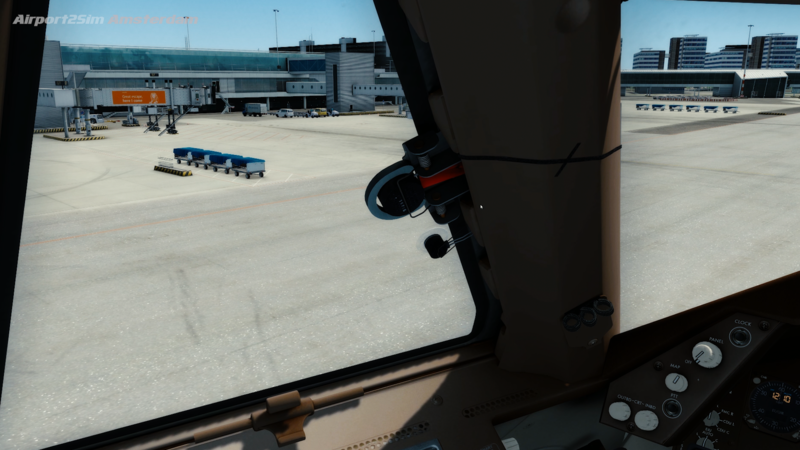 As well as learning about the common shortcuts offered by ATC as well as the usual cleared flight levels, we learn about the continuation SIDS that are unique to Schipol. We then demonstrate two different departures, one in the Q400 and another in a heavy 747. It's time to look at the arrivals at Schipol, with there being three main arrival points at the end of each STAR (standard arrival). If you arrive at night, expect your airline to pay a fine and fly the RNAV NIGHT s Schipol has what is known as a 'soft curfew'. We show you how to fly this fully managed noise sensitive approach in the 777, trying to use idle thrust as much as possible. 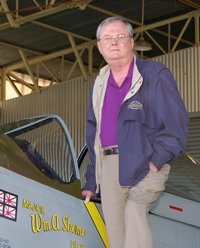 We also then cover daytime vectored ATC approaches including common descent clearances, speeds and how to vector yourself onto final. 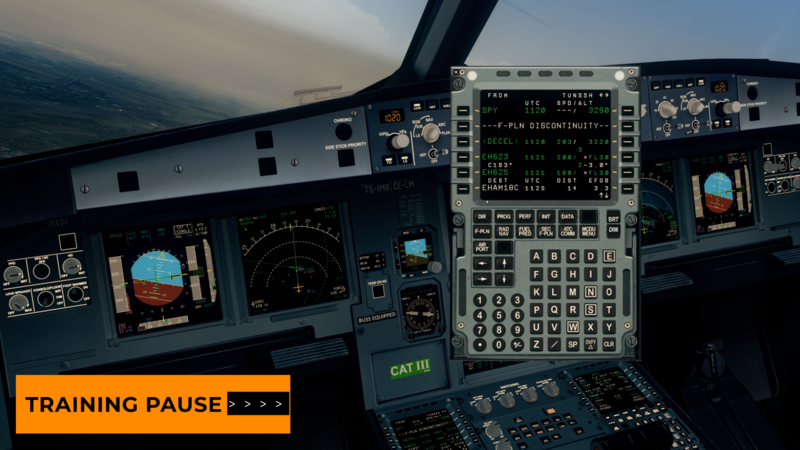 Many approaches to Schipol are also directed to the nearby SPY VOR and we demonstrate this in the Airbus A320. Having landed safely, it's now time to taxi back to the stand. Here we'll cover standard taxi routes and a look at what to expect at the parking position, as well as the various types of docking systems in use and why accurate parking is a must! Finally we take a look at the potential traps that lie in wait on the various runways and taxiways so that you can deliver your passengers home safely. Plus, James tells us about the 777 crew that almost put their main gear in the grass! - GSX stairs, pushback tugs and luggage loaders conflicting with or driving into the scenery, which REALLY breaks the immersion. - Or, the aircraft itself can often come into conflict with ground scenery, in this case a very expensive collision with the jetway! Vehicles are parked away from the maneuvering area where possible and positioned so that the don't conflict with each other, the aircraft or the jetway. Aircraft sensitive safedocks included in the GSX program have been coded into each gate to replace the more basic docking system. Not only do they recognise your specific aircraft type, but they also will give you an accurate read out of the distance remaining to the stop position. The addition of SODE jetways that have been sized to fit each gate and placed by hand into place ensures that you get perfect docking every time! Notice that even the pushback guy is parked neatly in the white lines! Unfortunately my bad parking overshot the number, but thankfully it was within the tolerance of the jetway. Accurate parking has never been more important! We also have bundled an information sheet about the entire airport which details the gate, the maximum aircraft size that the gate can accept, the airline codes embedded into the gate (which are still fairly accurate) and the aircraft that we have optimised the gate to work with. 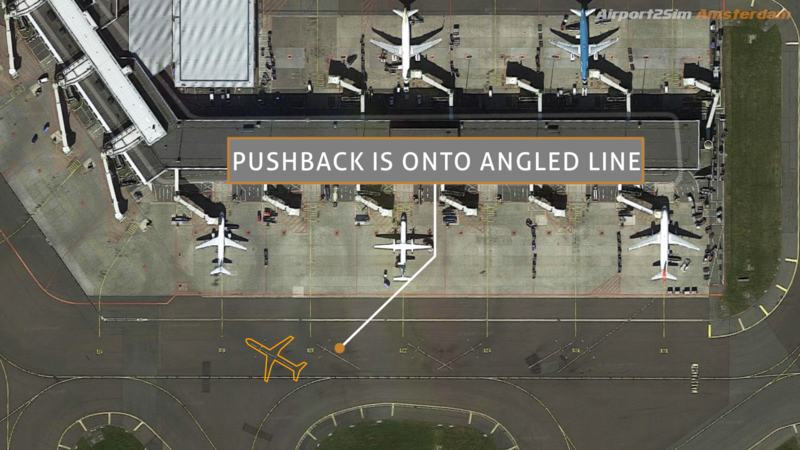 As long as you use an optimised aircraft then you should have a turnaround without any conflicts, and the aircraft should park on the stop mark on the parking line. Here's the sheet for the A apron. So that's pretty much it! Release is 23/2/19 around lunchtime. Enjoy! Just bought the program. Looking forward to learning about Amsterdam!! Just finished watching the videos, top notch as usual. I'm through the first two videos so far and it's brilliant! I really love the GSX config and the spreadsheet of the gates is so helpful. I'm looking forward to more airports in the future, great product. Has got to be the BEST $10 I ever spent. Kudos👍 to you, Ben and your team. Thanks guys, the chopped off video number four and five is annoying - I'm really, really sorry but this is an issue with the encode at the server end. We are working on it now! Love the comments, thanks ever so much! Just watched the Intro Video Trailer for Amsterdam that my Vimeo Account just emailed me about. All I can say is, Ben, this only reiterates what I said earlier, has got to be the best $10 money can buy. You guys have really re-worked GSX. Tremendous work. And all so calmly explained, too, without the plethora of YTs I often see with a blaring musical scores to belie the fact the presenter cannot do a smooth job, presenting with fluency. Combine this with FT's Amsterdam, and this is surely going to enhance simming. i am rather surprised you have released a new product. It might have been better to finish all your other products first. ill start by saying I was your biggest fan. Your airline2sim videos where the best on the market by a long long way. I bought all of them without question. I learned a lot from watching the Q400 Cadet program, the Q400 first officer program. And the 777 cadet program. But you never finished any of them. All three series had promised (if not contracted ) extra videos that where never released. And then you disappeared, leaving the airline2sim website broken for years. People payed money and can’t access the videos via streaming. You can only watch them if you download the videos. People are likely still buying those products, and wondering why the can’t stream them. Finish what you started before you start a new project. At least fix the website Ben. Andy, I cannot take issue with anything you have said but all I can say is that life is what happens when you’re busy making other plans. However, the website wasn’t broken, but it simply wasn't possible to stream the videos online This streaming issue is because Vimeo changed the API and we will have a fix within the the next few weeks. Most people download the videos to keep offline so I’m sorry if this inconvenienced you. The missing episodes you mention are the Q400 shared cockpit flight and the 777 teaser for the First Officer Program. I have mentioned before that I was unhappy with the quality of the shared cockpit flight and the 777 First Officer Program remains to be competed. Personally, I have no grumbles as I have long learned a long time ago. Life does nor come with a cast iron guarantee that one will always get what one wants. Along the way there are ups, down, smooths,roughs,etc,etc. I just accept there are people with lives that may have their own emergencies to contend with, and I learn to live with it, because I do not have that All-Seeing All-Encompassing Eye to figure out all that I cannot hear or see. Been seeing how beautiful the scenery is within the videos. What kind of terrain do you use? Some of the shots are TE Netherlands, the 777, Q400, 747 and A320 flights are just OLC E.U. and Vector. 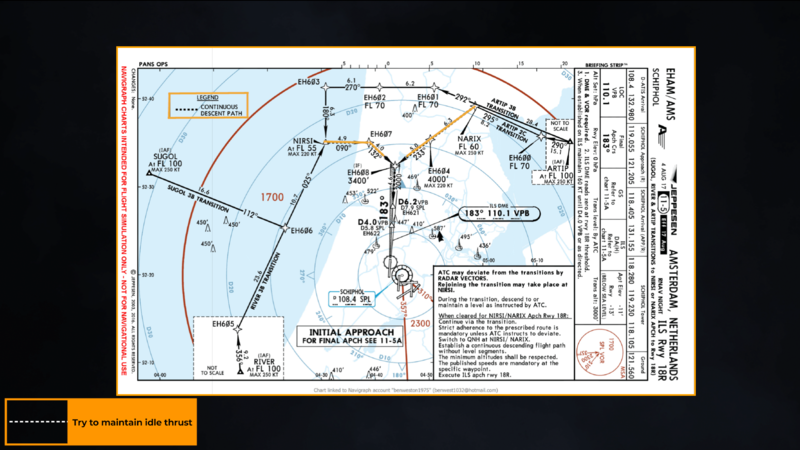 Hi, I have GSX v2 installed, so I followed the instructions as per the Airport2Sim pdf. I double checked my steps and yes, I did follow GSX Level 2 only instructions. I have also restarted/reset GSX upon loading. Renamed the files in the scenery directory, copied over all the .ini files to my profile directory and ran FSDT GSX Control Panel. 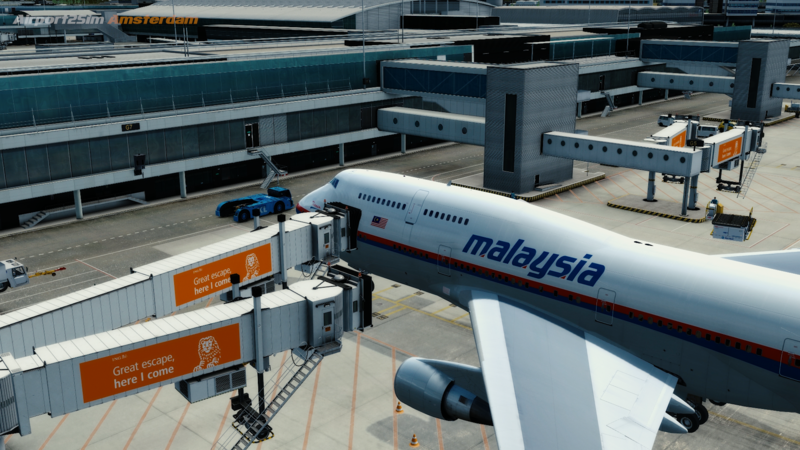 When I load my aircraft at the gate, my jetways are all on the ground! any recommendations on what to check? Yes, it’s an elevation issue. Go to the gate, shut the engines down and call up the GSX menu. Choose the GSX ‘customise this position’ menu. 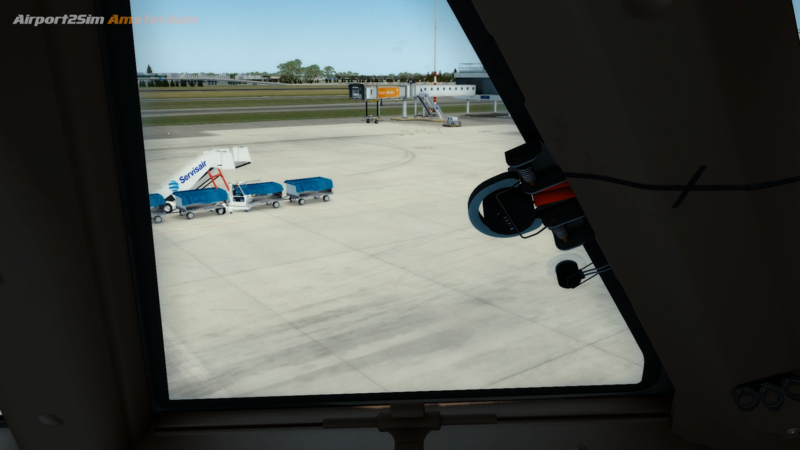 All jetways at Amsterdam don’t have GPU units below them. To the right of the airplane nose is a fixed based GPU. 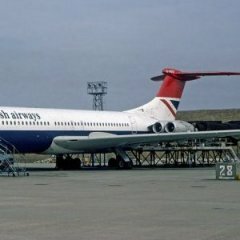 The odd stand positions at the delta pier will push back onto A10 as that is quite common for the stand positions D3 to D43 and some Echo stands as well. as A13 is used as an exit. Ok we can update the file to reflect this. Can we chat over the message system please? Yes, that worked! thank you very much. How many airports are you planing at? Personally I would like to see Chicago O'Hare (KORD) or perhaps Dallas Fort-Worth (KIAD). La Guardia could also be interesting, simply because of it's location. Amsterdam is very informative. Thanks for the dedication! Thank you! Yes anywhere with a decent scenery we can look at. The issue is the amount of time taken to make the GSX config and doing it for an airport like ORD would take weeks if not months. I’m looking at how we can speed it up a bit. Watch this space. Interesting. Thanks for the explanation, Ben. What EHAM scenery are you using please? 1. The A2S-AMS-Files-v2.3.zip file contain A2S-AMS-Files-v2.2 folder. 2. Parking on G2, VDGS was not working or couldn't detect the 737 I was using. Will match up the v2.3 and 2.2 files, no worries. No issue for me on G2, what are you seeing?